My book Living Your Glory Story releases next week and I’m so excited to be part of getting this message out because we’re giving voice to the marvelous activities of God. This is a book about rising above the noise of our culture and getting real about how we’re encountering (sometimes even struggling to encounter) God. Glory Stories are the experiences we live and talk about that point to the power, presence and goodness of God. We all have them. Sometimes our Glory Story is the statement of a single sentence. Other times it’s a conversation shared over coffee. Hopefully, our Glory Stories are also told in the way we live out our lives day in and day out. In any case, Glory Stories highlight the power, presence and goodness of the Divine. God is the feature. We are the context. This isn’t a book about evangelism, although there can be an evangelistic result. This isn’t a book that suggests telling a Glory Story is easy, but it does acknowledge that it’s necessary and we make it harder than it needs to be. There are too many great reasons for Christ-loving people to be talking about how real and near and powerful God is today. There have been occasions when listening to other’s Glory Stories powerfully served to bolster and enrich my faith. Ever since our daughter was diagnosed with Angelman Syndrome, hearing about God’s goodness and sovereignty in disability from other parents who have “walked in my shoes” has been life-giving and reminds me that I’m never alone despite feeling very isolated sometimes. Living Your Glory Story is also a book about friendship. I’m excited because I believe it will serve to deepen and strengthen many relationships and marriages. I dedicated the book to the memory of my dear friend Jennifer Kreykes who became my neighbor when I was 3 years old. She remained one of my closest friends until cancer took her in our early thirties. Jennifer and I started out as preschool playmates who grew into penpals and teenagers at the piano singing Amy Grant songs like “Tender Tennessee Christmases” and the “Arms of Love.” She wrote poems, I wrote songs and we both wrote dozens of letters. Together, we explored young faith and encouraged each other in how God was speaking even before either of us really understood the tangibility of His voice. Then our faith unexpectedly and almost simultaneously grew more firmly rooted in our deep affection for Jesus through adversity hard-fought in the terrors of cancer and disability. Little did either of us know what a harvest of faith would grow out of those too few years together. Jennifer lived the Glory Story and greatly enhanced my vision for how to live it. She inspired me to cling to God’s Word and let my Light shine. She proved to me that it is not the length of a friendship that matters but whether, through that friendship, we take each other to the feet of Jesus. Living Your Glory Story is a quick-read (only 64 pages) but, I pray, jam-packed with encouragement and empowerment for you. In writing this book, I had one single aim — to get us all out there living and sharing our stories in ways that make life together more fulfilling and God better known. 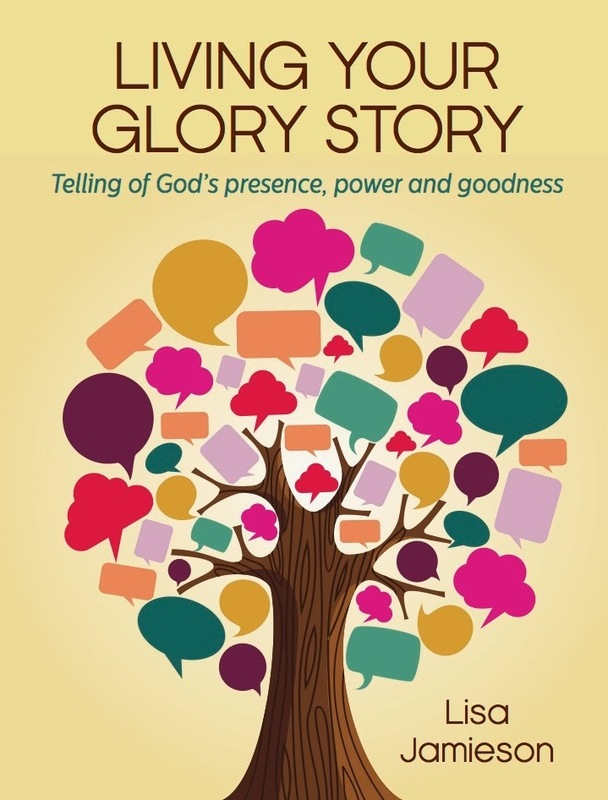 Order at Walk Right In Ministries or find Living Your Glory Story on Amazon. Please pray with me that this book contributes to a revival of intimacy with the Father and deepened passions to share that with others! Previous Previous post: What’s in A Rescinded Academy Award Nomination?